* The truck is avaliable for quick jobs and it’s standalone. * All of the skin templates are in the mod file(.scs file). 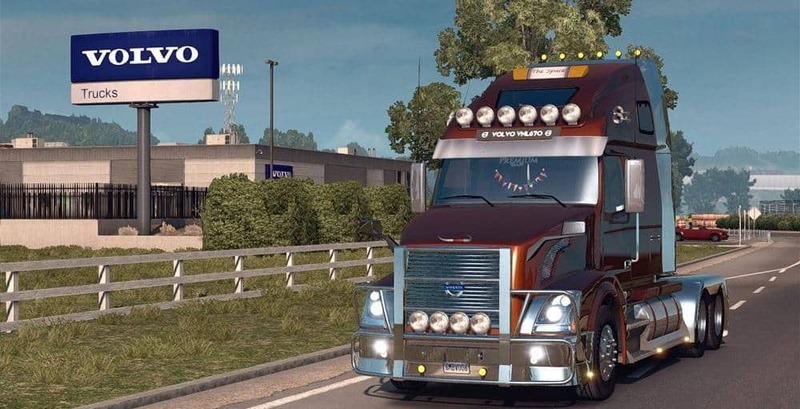 * You don’t need to sell your truck to use v1.3, just add the missing parts. * If you have FPS problems, don’t use chrome parts much. In Game Version 1.2 of the mod crashes if you want to grow more than 2 components of a variety in the shop .